Team Giraffic Shark reviewed this Haunted Attraction on October 6, 2018. Team Giraffic Shark revisited RISE HAUNTED HOUSE after a great visit in 2017. RISE HAUNTED HOUSE and RISEWELL ASYLUM both returned for 2018, and RISE HAUNTED HAYRIDE (now open) is new for 2018, though was still receiving finishing touches when we visited and opened slightly later than the rest of the attraction this year. Both attractions were similar to their 2017 iterations, but with certain tweaks and improvements. The clear focus overall is the addition of the RISE HAUNTED HAYRIDE, which promises to be not your ordinary hayride, according to multiple internal sources who have attended rehearsals and test runs. The former zombie paintball attraction, though no longer owned by RISE, has moved next door to make room for the RISE HAUNTED HAYRIDE. Paintball is just a short walk away at a new neighboring business, and still available for those who were fans of that fun attraction in 2017. Team Giraffic Shark was thrilled to see some returning performers for 2018, especially the strong Christopher/Oliver/Joyce performer in RISEWELL ASYLUM, with an even stronger and more developed performance. Also the rat-wrangling maid who so charmingly banters about how difficult her job is at the bed and breakfast as she pawns her pet rats off to unsuspecting Guests is back as well. 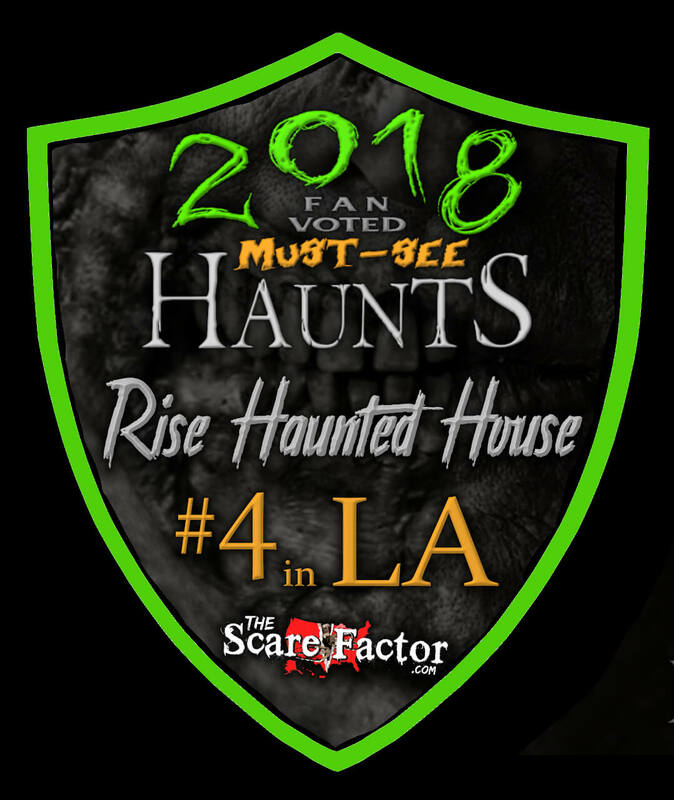 The Cast for 2018 seems to be further developed and more skilled at creeping and scaring Guests, overall, especially in RISE HAUNTED HOUSE. These performers have absolutely perfected the tease scare, providing a characterized sneak peek at the end of a hallway before exiting into their rooms to setup for their real scare. These fleeting glances at certain characters, some of which seem to disappear into the walls, not to be seen again for several scenes, builds suspense and tension leading to the eventual scares. It was great to see such an improvement in performance in just one year’s time, especially from a Cast that was already incredibly strong last year. Costuming is detailed, thorough, and realistic at RISE. 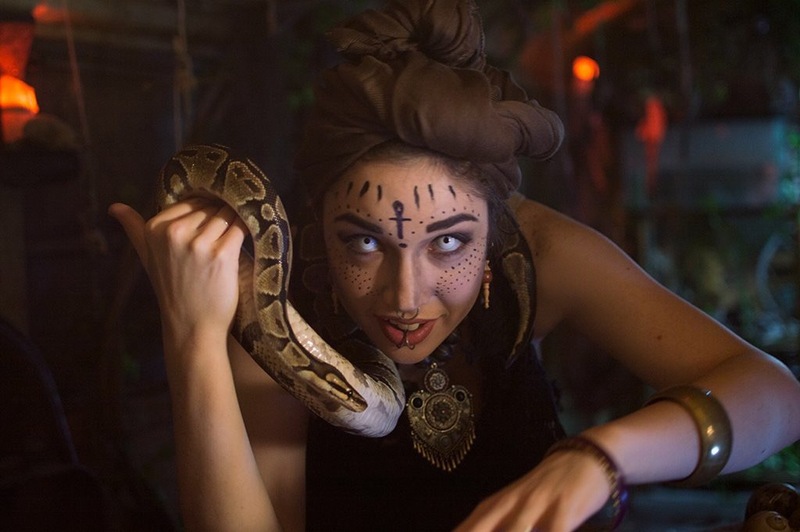 RISE HAUNTED HOUSE runs a wide gamut of character types, and all are very unique and detailed, including makeup, with personal favorites being the voodoo New Orleans themed characters. RISEWELL has characters in realistic, distressed asylum-themed costumes, which work with the realistic asylum theme very well. Makeup for the close-range, lingering interactions is a bit rough around the edges, breaking the illusion slightly. A more realistic, subtle approach could better match the goal of an authentic experience. Besides that slight concern, RISE does an incredible job of costuming their wide variety of characters and large number of performers. 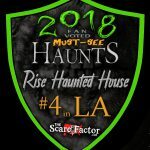 RISE HAUNTED HOUSE’S staff is always incredibly friendly, helpful, and engaging, making for a great experience leading up to the main attractions. Safety is of high focus at RISE, with extra focus on making the walk through attractions safe to traverse for all Guests, without any uneven surfaces or trip hazards. The entire area, including the parking lot, is reasonably well-lit as well, making for a safe experience overall. Of special note was the host for the escape games. He interacted with the crowd waiting for the main attractions to garner excitement for the games, and was also very helpful in explaining the games, including their backstory. RISE HAUNTED HOUSE and RISEWELL ASYLUM both have impressive facades, creating a themed entrance to the attractions. The lighting and sound in the general area create a spooky atmosphere to get people ready to experience the haunted attractions. RISE could benefit from having more performers roaming the common areas. This would create a stronger atmosphere and haunted feel prior to entering the indoor attractions. RISE utilizes a strong combination of practical “old-school” effects along with state-of-the-art special effects to entertain and scare. The performers and the special effects partner to create startling scares and memorable moments throughout the attractions. Scenes are highly-detailed and lit well to make sure that details can be seen, not letting that hard work go to waste in the dark. RISE artists have a knack for creating wonderfully-textured scenic pieces, creating realistic environments and highly-themed areas for their walk through attractions. A particular favorite is the New Orleans-style cemetery, taking advantage of the region with a locally-themed section of the attraction. RISE does a great job of creating “silence” through this portion, allowing for scares to pop out of the soundscape, and screams to be clearly heard from the other side of the cemetery, adding to the suspense and anticipation. 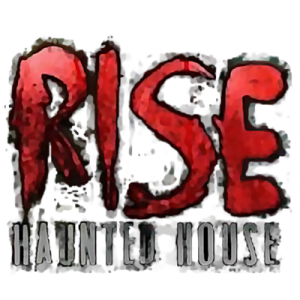 RISE HAUNTED HOUSE passes through several different themes within the same attraction, and while not following one overall theme, the individual themes are well-defined and executed at a high level. On the other hand, RISEWELL ASYLUM follows one hyper-realistic theme. 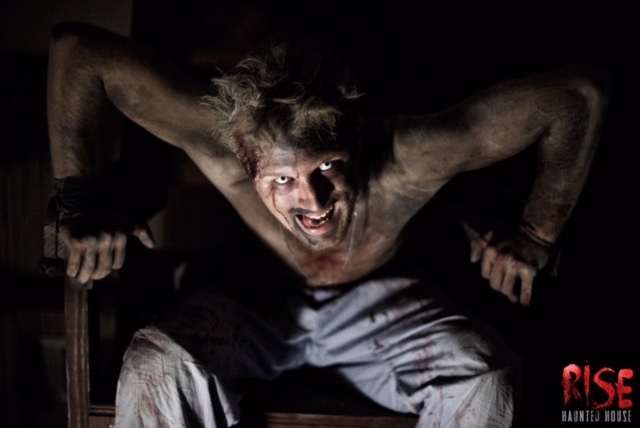 It takes Guests through a unique theatrical-style haunted attraction, room by room, as guided by performers, which is a unique take on the standard haunted house. Details and distressing in this attraction are also really well done, creating a realistic run-down asylum featuring all its different inhabitants inside its doors. RISE packs some great scares into its two (and now three) large attractions. 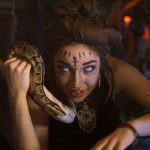 Talented and dedicated performers work hard to scare in multiple locations, and the design and direction utilize the performers to their maximum ability, getting as much effect out of the same performers as possible. Special effect scares are also in abundance, between sound effects, practical effects, puppets/animatronics, and other special effects. The combination of these is highly effective in getting maximum scares from its Guests. Families were also in attendance and older, brave kids seemed to enjoy the attractions as well as their parents, though it is definitely too scary for young kids. RISE offers combination tickets for its three attractions, saving Guests money who choose to experience all RISE has to offer. There are also VIP options available for those who choose to make the most of their evening at RISE. With lengthy experiences, the ticket price is certainly fair, and well worth it for the high quality entertainment available. There are also inexpensive snacks available for purchase, including hot dogs, chili dogs, and beverages. Three mini five minute escape games are available (and lots of fun!) as well as a bull riding setup for those looking for a little adventure for their evening.